North Korea has not stopped its nuclear and missile programs and continues to smuggle in petroleum products by ship-to-ship transfers, according to a recent UN Security Council report. It adds the North is still earning hard currency by selling arms to conflict regions like Syria and Yemen. North Korea "has not stopped its nuclear and missile programs and continued to defy Security Council resolutions through a massive increase in illicit ship-to-ship transfers of petroleum products, as well as through transfers of coal at sea during 2018," the report of independent experts to the UNSC said. 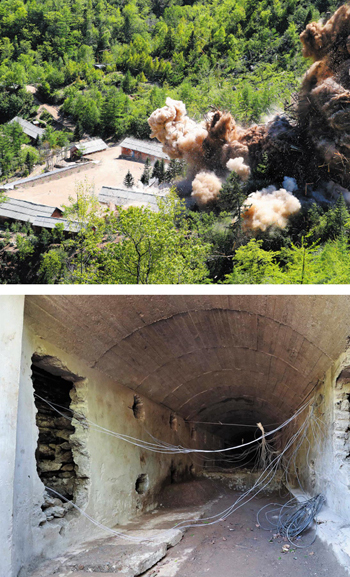 A tunnel explodes at North Korea's nuclear test site in Punggye-ri, North Hamgyong Province on May 24. 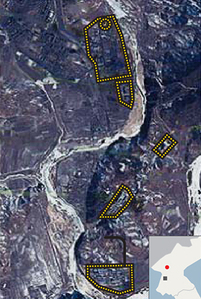 The North's Yongbyon nuclear complex is still in operation and its 5-MW reactor is also operating, according to the six-monthly report. It says that there were 89 illicit transfers of oil products at sea between January and May this year, involving 40 ships and 130 companies. The UNSC has capped exports of refined petroleum products to the North at 500,000 barrels a year. "If loaded at around 90 percent, [North Korean tankers] would have delivered nearly 1.4 million barrels of refined products to North Korea, almost triple the quota," AP reported on July 19. Meanwhile the North earned US$14 million from last October to March this year with illicit exports of coal and steel to China, India and other countries. North Korean diplomats play a key role in evading financial sanctions by opening bank accounts in their host countries, making finance an area where sanctions implementation is weakest, according to the report. North Korean venture firms also continue to operate in some 200 locations including Russia. North Korea is also suspected of continuing to cooperate with the pro-Russian government in Syria and the Iranian-backed Houthis in Yemen. The report singles out arms trafficker Hussein Al-Ali, who offered "a range of conventional arms, and in some cases ballistic missiles to armed groups in Yemen and Libya" that were produced in North Korea.